Have you asked any of the farmers at your FMs whether they’d consider planting some lentils next year? Good point. Talking with farmers is an excellent (and easy) way to have a real say in what you’re eating. I’m not optimistic in this case, though, for reasons of state geography. 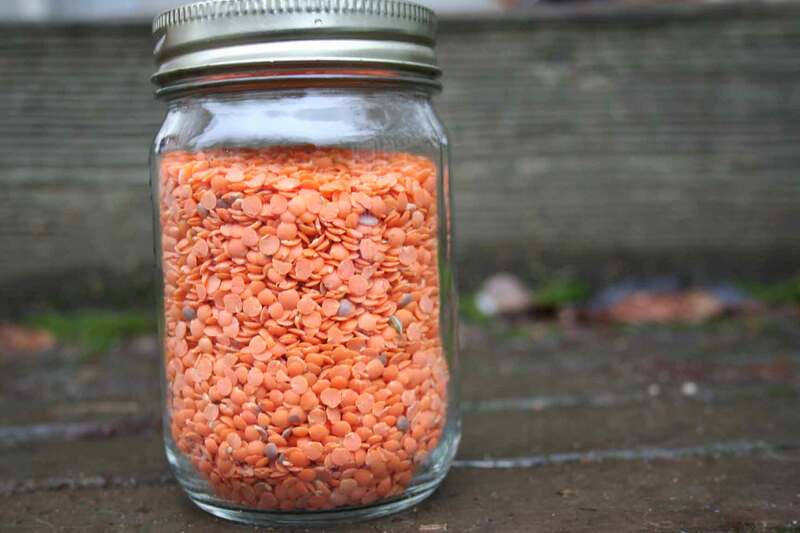 Lentils do best in a dry climate, so they’re tough to grow west of the Cascade mountains, where it rains too much in the spring, and too much in the fall, when the plants need to dry up completely. I imagine they could be a hard sell as a high-end product, being neither seasonal nor fresh, and they’re labor intensive to grow — plants must be netted once they begin to dry, to keep individual lentils from falling into the dirt. Most produce at our markets is grown within a fifty-mile radius, and Alvarez is one of the few to come from the other side of the mountains, with hot-climate crops like eggplants and peppers. (Meat is a different story.) It’s hard to imagine a small grower turning a profit on a low-margin product that has to be driven 500-plus miles round trip. I called my friend Sam, who was born and raised in Moscow, Idaho, a sleepy college town that fancies itself the Lentil Capitol of the World. Sam loves cooking from his Pea-Lentil Commission cookbook and is known to give away bagged lentils at the holidays. He cannot recall ever buying local lentils in his hometown and thinks that what’s mostly available is beluga and lentils de puy, packed in attractive plastic bags tied with ribbon. We’ll investigate further. Not so much a comment, as a plea for HELP. I can’t find any red lentils anywhere. I’ve looked constently at Puget Sound Co-op, but the haven’t had them in for months. And no explanation as to the absense of this item! So if any one knows of any reason please send me a hint!!! Thanks! I don’t know, but I would guess they could tell you why at the co-op.